Terrence Chan has one of the most unique poker careers of anyone in the game. He’s seen the game from every angle imaginable, having worked on the industry side, being a successful pro and now part of the poker media. He discovered poker at age 18, and spent most of his free time either playing at the casino, studying poker books or discussing the game on rec.gambling. It was from his online discussions that he was offered a job at PokerStars, and eventually became the Manager of Support Operations. He worked there from 2002-2004 before getting the itch to play the game full time. 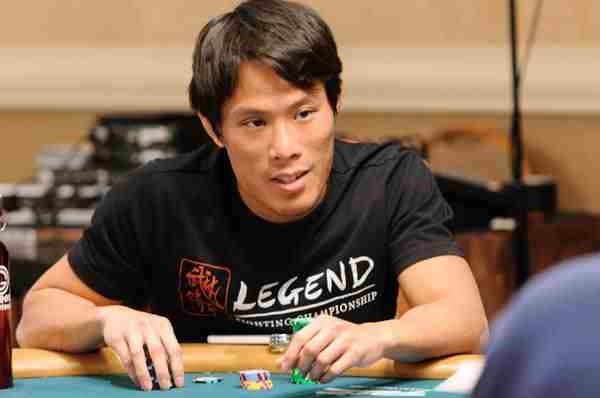 Over the next few years Chan would become known as one of the best Heads-Up Limit Hold’em specialist in the world. From 2006-2009 he made considerable profit in the highest stakes games spread online. He has also had success in both live and online MTTs. In 2009 he was able to take down two limit hold’em SCOOP titles in one day, winning the $500 and $5,000 events for a combined $186,187. Later that year he was able to win a $1,000 WCOOP event worth $83,030. His live poker earnings total $1,177,373, including 3 WSOP final tables. From 2013-2014 he returned to the industry side of the game, running the support operations for Ultimate Poker. During his time as a poker pro Terrence took up MMA fighting. This hobby soon became a passion and he decided he wanted to test himself in the ring while he still had the chance. He’s been victorious in all 4 of his fights, including a unanimous decision win vs Ali Wasuk on May 30, 2015. To round out an already diverse career, when long time 2+2 PokerCast host Mike Johnson stepped down from the show, Terrence was chosen as his replacement. Tilt happens, even to the best players. If you ever find feelings of tilt creeping into your session, you’ll want a way to stop them ASAP. With the 7 Minute Tilt Buster MP3, you can stop tilt in its tracks and get back to playing your “A Game” right away.